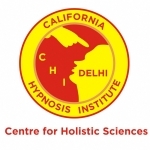 Hypnotherapy – CHI-DELHI…Be a part of QUANTUM CHANGE !! Hypnosis is a highly scientific process to program the subconscious mind to achieve unlimited success in life. Under Hypnosis, the mind and body are deeply relaxed, and the barrier between the conscious and subconscious minds is removed, thereby facilitating a high degree of communication between the two. In such a state, the subconscious mind becomes highly receptive to positive constructive suggestions, thus assisting us in achieving greater success, happiness and satisfaction. A subject that has often been misunderstood because of the shroud of mystery surrounding it, hypnosis is a science, which can be of immense value to us in the area of Human potential development. Acknowledged and approved as a legitimate therapeutic tool by the British Medical Association, the American Medical Association, and even the Vatican, hypnosis is widely used in the US, Europe, the former Soviet bloc countries and other developed nations. Practiced by Doctors, Psychiatrists, Dentists, Gynecologists, Social Workers and Business persons in their professional lives, the powers of hypnosis can also be employed by the general public for a number of purposes, from improving their health, to attaining their goals, to overcoming undesirable habits or phobias. If all this is true, then why isn’t everyone engaged in daily hypnosis? Lack of education and knowledge are the main reasons. Most people lack good knowledge and possess a great deal of misinformation about hypnosis. The purpose behind this e-course is to remove the misconception and bring to light the true picture of hypnosis and its benefits. And in the chapters to follow you will learn everything about hypnosis help others and yourself for better living. Movies hype would have us believe that a hypnotist can control and direct our actions, and that we can be made to do all sorts of unimaginable things under hypnosis. Following is a list of some of these common myths, which must be clarified before we proceed further. Do Hypnotist make you do things against your will? Absolutely false. The hypnotist has no powers over you at all, and cannot make you do things against your will. All Hypnosis is really self-directed and self-controlled. The hypnotist merely guides you into a hypnotic state, and feeds your mind with carefully worded suggestions. If you feel uncomfortable with these suggestions, you may reject them at will. Hypnosis is essentially a matter of cooperation between the hypnotist and his subject, not some form of power the hypnotist possesses which will compel the subject to submit to his or her will. Once under Hypnosis, one can’t come out of the state on his own? If you are under hypnosis and the hypnotist suddenly left the room, two things may happen. You will either realize that the hypnotist is no longer talking to you, and will open your eyes, feeling fresh and alert. Or, you may drift into natural sleep, in which case you will wake up after a few minutes (or hours). It means the person comes out of the trance on his own. Can only weak-minded people be hypnotized? Can one be made to reveal his secrets Under hypnosis? Untrue. It is quite the opposite. Hypnosis is a safe and natural process. One fact that most people are unaware of is that we undergo Hypnosis several times in our daily lives. Do one needs special powers to be hypnotized? Any average person with the willingness and patience to learn, can master the skills of hypnosis. Like other skills such as playing the piano, or learning a foreign language, some people are “naturals”, and become accomplished with little training while others can increase their abilities through regular practice. A good, confident voice is an advantage, but not a must. Does the user might become dependent on hypnosis? Hypnosis (or Hypnotism) is the science of how the human mind functions. Hypnosis is an art, too, because, while there are a few widely accepted theories, hypnosis is the study and use of the Hidden Powers of the Mind. 1. A state that resembles sleep but is induced by a person whose suggestions are readily accepted by the subject. Hypnosis is commonly used in behavior modification therapy to assist clients in overcoming phobias or bad habits. Defines hypnosis as follows: “A superficial or deep trance state resembling sleep induced by suggestions of relaxation and concentrated attention to a single object. The subject becomes highly suggestible and responsive to the hypnotist’s influence, and can be induced to recall forgotten events, becomes insensitive to pain in the hands of experienced hypnotherapist, gain relief from tensions, anxieties and other psychological symptoms.” (Goldenson, 1984, Page 358). “Hypnosis refers to a state or condition in which the subject becomes highly responsive to suggestions. The hypnotized subject seems to follow instructions in an uncritical, automatic fashion and attends closely only to those aspects of the environment made relevant by the hypnotist. If the subject is profoundly responsive, he or she hears, sees, feels, smells, and tastes in accordance with the suggestions given. “An artificially inducted state, usually (though not always) resembling sleep, but physiologically distinct from it, which is characterized by heightened suggestibility, and as a result of which certain sensory, motor and memory abnormalities may be induced more readily than in normal state. To sum it up: Hypnosis is a state of mind that we use as a vehicle to communicate with the subconscious mind. In this state, the subconscious mind is more open and receptive to suggestions. By combining the power of suggestion with the power of imagination in the hypnotic state, we create a powerful environment for change and growth.